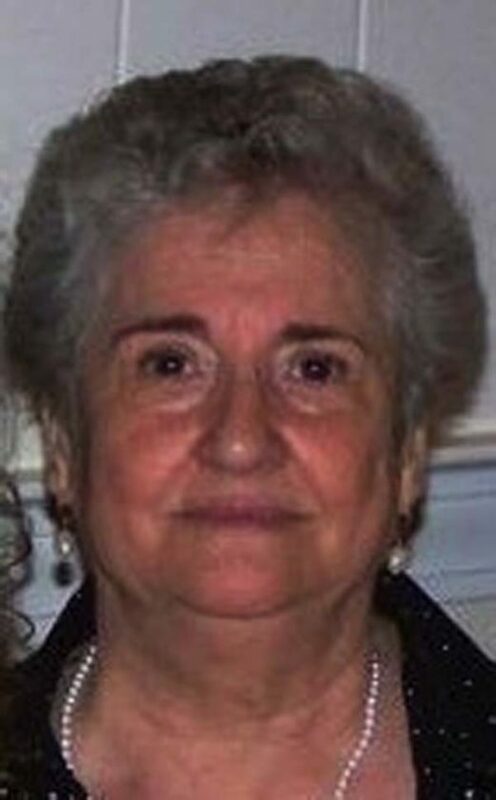 Amalia Calandra, age 78, of Gloversville, passed away peacefully on Wednesday, August 1, 2018, at Nathan Littauer Hospital Nursing Home, surrounded by her loving family. She was born June 13, 1940, in Barcelona, Spain, the daughter of the late Francisco and Amalia Manrubia Martin. She lived in Spain, Switzerland and Italy prior to coming to the United States in 1963 at the age of 23. She worked for many years in the glove industries in Gloversville and worked numerous years for Coleco Industries of Mayfield and Amsterdam. She loved her work as a hostess at Applebee’s in Johnstown, until she was stricken. Amalia loved to spoil her grandchildren and her dog Bella. She enjoyed gardening, knitting, crocheting and cooking. She was very well-known for her meatballs and lasagna. She is survived by her husband of nearly 57 years, Egidio Calandra; four children, Maria DeFilippis (Thomas) of Ballston Spa, Gino Calandra (Natalie) of Gloversville, Nino Calandra (Jennifer) of Rotterdam and Joseph Calandra of Arizona; grandchildren, Ryan Getwright, Kaylyn Getwright, Connor DeFilippis, Ian DeFilippis, Brandon Calandra, Elysse Calandra, Samantha Calandra, Gabriel Calandra, Angelina Calandra, Dominic Calandra and Joey Calandra. She is also survived by numerous brothers, sisters, nieces and nephews in Spain, France and Switzerland. She was predeceased by her parents; and a grandson, Anthony Calandra. The family will receive relatives and friends from 4 to 7 p.m. Friday, August 3, at Walrath & Stewart Funeral Home, 51 Fremont St., Gloversville. A Mass of Christian burial will be celebrated at 10 a.m. Saturday at the Church of the Holy Spirit, 151 S. Main St., Gloversville, with the Rev. Matthew Wetsel officiating. Memorial contributions may be made in lieu of flowers to the Nathan Littauer Hospital Nursing Home, 99 E. State St., Gloversville, NY 12078. Online condolences may be made to the family at www.brbsfuneral.com.